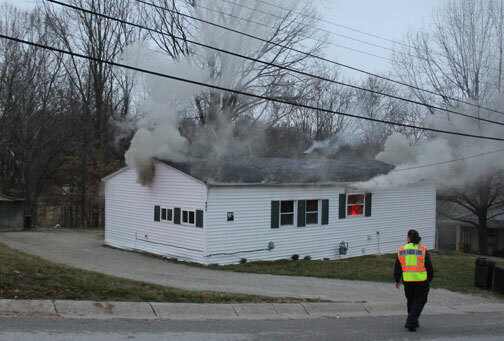 Crews were able to confirm that no one was home at the time after making contact with the home owner. At this time the cause of the fire is unknown, however we have learned that Franklin County Fire Investigator Jim Schuhmacher is on the scene to investigate possible causes. 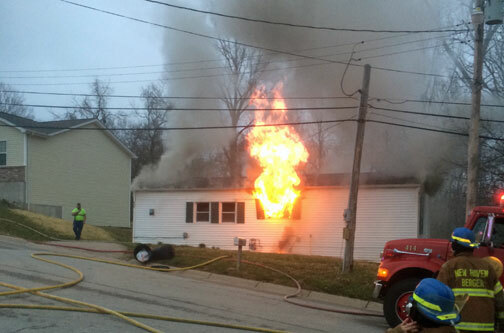 It is important to note that this is normal protocol for Schuhmacher to investigate house fires, particularly when no one is home at the time of the fire. We hope to have more information later this evening once we are able to speak with fire officials about the amount of damage caused by this mornings fire. Picture of home prior to fire crews arriving on scene.